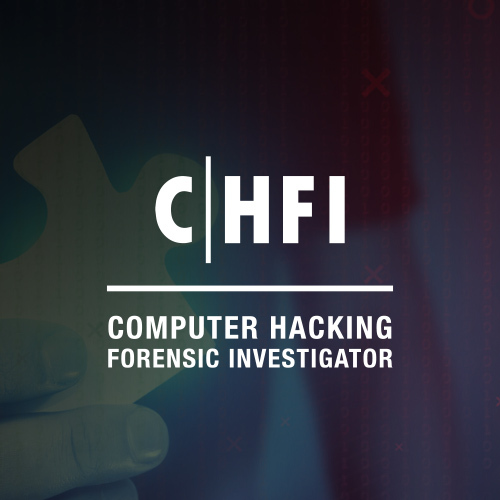 The Computer Hacking Forensic Investigator (CHFI) course delivers the security discipline of digital forensics from a vendor-neutral perspective. CHFI is a comprehensive course covering major forensic investigation scenarios and enabling students to acquire necessary hands-on experience with various forensic investigation techniques and standard forensic tools necessary to successfully carry out a computer forensic investigation leading to the prosecution of perpetrators. The CHFI certification gives participants (Law enforcement personnel, system administrators, security officers, defense and military personnel, legal professionals, bankers, security professionals, and anyone who is concerned about the integrity of the network infrastructure.) the necessary skills to perform an effective digital forensics investigation. CHFI presents a methodological approach to computer forensics including searching and seizing, chain-of-custody, acquisition, preservation, analysis and reporting of digital evidence. Extract and analyze of logs from various devices like proxy, firewall, IPS, IDS, Desktop, laptop, servers, SIM tool, router, firewall, switches AD server, DHCP logs, Access Control Logs & conclude as part of investigation process. Identify & check the possible source / incident origin. EC-Council is dedicated to working with the US Department of Defense to bring the highest standards of Training, Education and Certification to our military. A core component of EC-Council Certification development is the Job Task Analysis (JTA) Process we undertake before any certification is built. Major frameworks like the NICE/NIST Framework, NIST 800-171, GCHQ, and others contribute to content areas of each of our programs. As a result, EC-Council Certifications and Training programs are mapped to most major published Frameworks. Download the comprehensive mapping of EC-Council program sections to The Roles and their associated Knowledge, Skills and abilities. Six EC-Council Certifications are recognized by the United States Navy in over 100 Cyber Security Job roles, across 18 occupations. Ranging from Commander in Executive Cyberspace Leadership to Cyber Warfare Engineer, Special Agents, Incident Handlers, to Cryptologic Warfare Engineers, Cybersecurity careers with the US NAVY are exciting, holding an EC-Council certification provides great opportunity for advancement in a US NAVY career. The decisions of Department of the NAVY to incorporate industry recognized certifications into the Cyber IT & Cyber Security Workforce Framework ensures as our service personnel advance their careers and eventually transition to civilian life, their skills and credentials are widely recognized by the Industries they will continue to work in as Veterans. Funding opportunities for career advancement are available for Active Duty NAVY personnel through the NAVY COOL program. 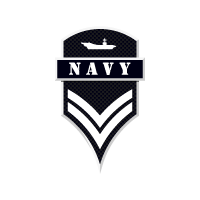 *All information represented here can be found on the NAVY COOL site. To find what EC-Council Certifications map to your eligible Job role, select “Full Credential Search” then under Credential Agency, select or search for “International Council of E-Commerce Consultants”. Five EC-Council Certifications are recognized by the United States ARMY across 15 occupations. Ranging from Cyber Operations Technician to Target Digital Network Analyst. Our certifications are in use as baseline credentials across ARMY Cyber throughout intelligence as well as deployed infantry. EC-Council is proud to work with various groups in the ARMY to support the Mission of ARMY Cyber. Funding opportunities for career advancement are available for Active Duty ARMY personnel through the ARMY COOL program. Five EC-Council Certifications are recognized by the United States Marine Corps in 79 Cyber Security Job roles, across 17 occupations. Ranging from Cyber Security Technician, to Signals Intelligence and Electronic Warfare Operator, to Cyber Security Chief. Funding opportunities for career advancement are available for Active Duty MARINE CORPS personnel through the Marine COOL program. Four EC-Council Certifications are recognized by the United States Air Force in 150 Cyber Security Job roles, across 8 occupations. Occupations are recognized in fields like; Cyber Transport Systems, Intelligence, and Cyber Warfare Operations. Funding opportunities for career advancement are available for Active Duty AIR FORCE personnel through the AIR FORCE COOL program. In order to maintain the high integrity of our certifications exams, EC-Council Exams are provided in multiple forms (I.e. different question banks). Each form is carefully analyzed through beta testing with an appropriate sample group under the purview of a committee of subject matter experts that ensure that each of our exams not only has academic rigor but also has “real world” applicability. We also have a process to determine the difficulty rating of each question. The individual rating then contributes to an overall "Cut Score" for each exam form. To ensure each form has equal assessment standards, cut scores are set on a "per exam form" basis. Depending on which exam form is challenged, cut scores can range from 60% to 78%. 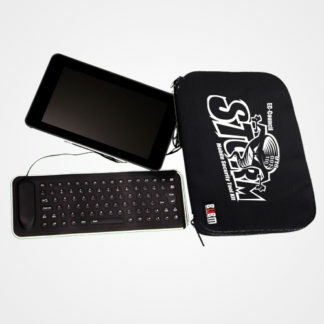 Note: The STORM mobile security tool kit contains the STORM Linux (a Raspbian based, customized distro of Linux) including all of the associated security tools. These tools are very powerful and all proper precautions should be adhered to at all times. Always remember that the difference between illegal and ethical hacking comes down to one word; permission. It is illegal to utilize these or any other pen testing tools on a network or website without permission. As stated in the terms and conditions, EC-Council is not responsible for illegal use of these tools and you accept the full liability for its usage. The entire code of ethics can be found here. Take Your Hacking by STORM!